Distinctive cedarwood combines Arabic and Greek meanings into its scientific name, cedrus deodara loud, meaning “sacred tree of the divine will.” That itself makes cedarwood special among essential oils.Only a healing plant could have such a noble origin, both in word etymology and geographical history. Cedarwood oil was possibly the first essential oil to be extracted from a plant. The first documented use of cedarwood oil was by the ancient Egyptians two to three thousand years before the birth of Christ. They used cedarwood oil in the mummification process, as well as to ward off infections. During the Middle Ages, Europeans thought that placing a cedar tree adjacent to their front doors would keep witches from entering their houses. In the 17th century, English herbalist Nicholas Culpeper noted that cedarwood was a remedy for coughs and for those suffering from a shortness of breath. Thus, throughout history, cedarwood oil has been used by a variety of cultures and in different ways to prevent or cure illnesses. 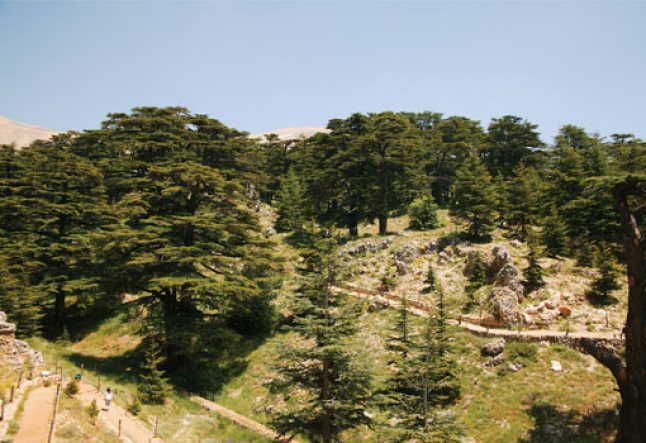 They valued cedarwood so highly that what is now Lebanon – a major cedar producer – was incorporated into the Egyptian empire in order to ensure a regular supply. Cedarwood oil was highly valued both in Babylon and Egypt. Inscribed within a clay tablet from Babylon, dating from 1800 BC, there is an order for imported oil of cedar, myrrh and cypress. This suggests that international trade in aromatics dates as far back as 4,000 years. Today the oil is widely used in holistic meditation to help promote spiritual awareness as well as purification, healing and protection. Cedarwood is mainly produced in Morocco and France. The Cedarwood Atlas tree has been important in the social and economic aspirations of Morocco, being suitable for furniture making, carpentry, and construction work. Like all cedars, the wood is fragrant, insect repellent and rot-resistant due to the essential oil content. The oil is steam-distilled from the wood chips and sawdust. The amount of oil produced from cedarwood depends on the species and its age. Also, if the tree has undergone any duration of stress, the amount of hard wood produced is increased. Distillers approximate that it takes about twenty-nine pounds of dried plant material to produce one pound of cedarwood essential oil. Cedarwood essential oil is yellow and thick, with a warm camphoraceous top note and sweet, woody balsamic undertones. It is recognized for its calming, purifying effects, and acknowledged as a principle healer of the skin and underlying tissue. Celebrated in the skin care industry, cedarwood helps with the healing of rashes and is recognized as having properties that clear blemishes. It is also believed to help normalize both dry and oily skin and hair conditions. Through aromatherapy there are many ways you can benefit from using cedarwood. 1. For stressed skin - Add 3 drops of cedarwood oil and 2 drops of lavender oil to 1/4 cup of warm water. Soak a soft washcloth in the water, wring it out and then apply it on the skin. Be careful to avoid the eyes. When the cloth cools, soak it again in warm water, and reapply. 2. To ease tension and anxiety - fill a bath with warm water, and add 3 drops of cedarwood oil and 2 drops each of ylang-ylang and rosemary oils. Soak for 15-20 minutes. 3. For muscle pain - fill a bath with warm water, add 4-6 drops of cedarwood oil and soak for 20-30 minutes. 4. For coughs - upper-respiratory congestion, colds and sinusitis, combine 7 drops of cedarwood oil and 3 drops of lavender oil to 1 ounce of sweet almond or olive oil and blend well, gently massage this mixture into your chest and upper body. 5. As an astringent and antiseptic - add 2-4 drops of cedarwood oil to 1 tablespoon of your favorite lotion or cream, and massage it into the skin. It will help tighten your pores and even out your skin tone. 6. Make a traditional fragrance to enhance meditation. Mix 2-3 drops each of cypress, frankincense, cedarwood oil and sandalwood oils and add to your diffuser or aromatherapy lamp. 7. For cellulite - use 3 drops each of cedarwood, lemon, and cypress in 1⁄2 cup of a carrier oil (sesame seed, jojoba oil). Apply two or three times a day for a month.